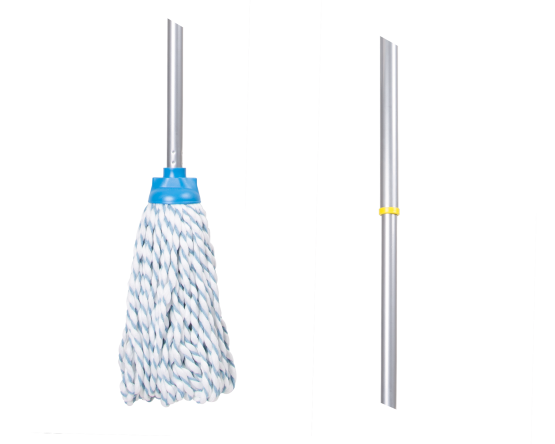 Flash Microfibre/Cotton Mop with Extending Handle. 50% Microfibre and 50% Cotton. A mix of cotton & microfibre creates an effective balance of absorbency and dirt pick up. Absorbs up to 50% more water than ordinary mops.